An impromptu match, a match that never started, a welcome return and a ‘Celebration’ of women. 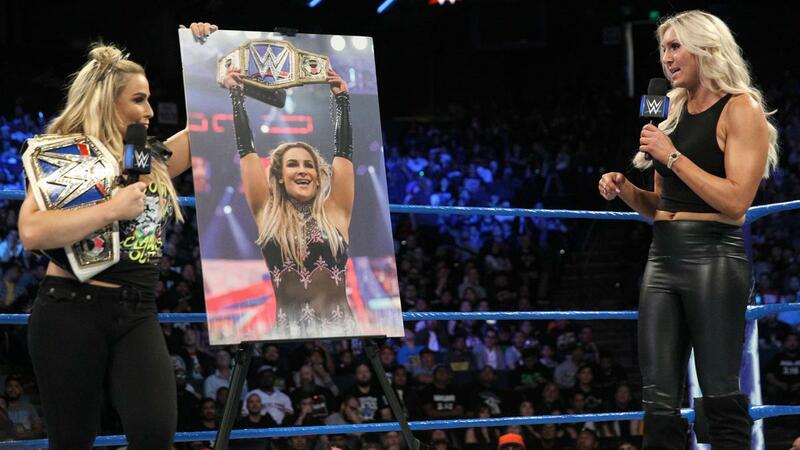 Was SmackDown Live worth watching this week? Not unlike Raw on Monday night, this weeks SmackDown was an oddly barren affair. There was a strange feeling that not much happened, and some of what did happen had happened before or was tremendously predictable. But it wasn’t without it’s high points. Chief among them was Kevin Owens relatively brief but very disturbing promo. 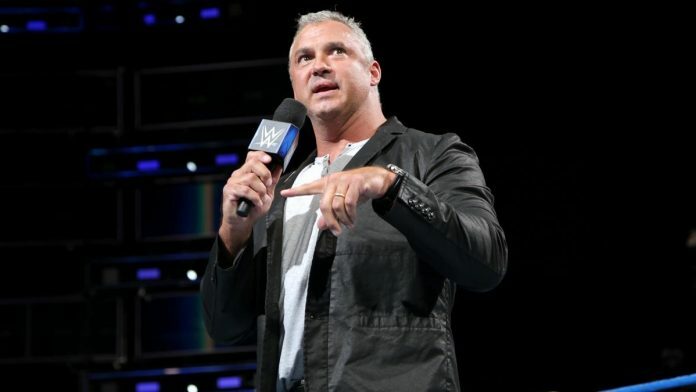 The show opened with Shane McMahon promising ‘massive vengeance’ for what Owens did to Vince McMahon last week. Incidentally ‘massive vengeance’ will be the name of WWE’s next PPV (disclaimer: it won’t be, but it should be). Later in the night came Owens response. Via sattelite KO began with an apology for his actions. I was expecting the usual heel-ish faux apology but what we got was far more sinister. Owens went on to blame Shane for what happened to Vince. Saying that he took no responsibility for what he did and that Shane ‘made him do it’. Absolving himself of blame entirely, and ending his promo by saying ‘people like me don’t go to hell, they go to heaven’. I mentioned last week in my review that I think Kevin Owens is a masterful Heel. And this short and subtle promo only enhanced that. This emotionally manipulative and almost abusive slant on what could have been a very cliched villainous promo added yet another layer to the man’s character. A character that is utterly without redeeming qualities. He is not cool, he is not misunderstood, he is not an anti-hero. I think many Heels could take note from what Kevin Owens does. He is a master of his craft. At the beginning of the second hour we were treated to a very welcome return. After some weeks off as she dealt with her father’s illness, we saw the on-screen return of Charlotte. She was greeted with a great response from fans, seeming to fully cement her new role as a Face. One that I think she suits very well. For a moment, though, I was worried this was going to be a classic WWE bait-and-switch and that we might see a return to the Queen’s Heel persona. WWE do have an uncomfortable tendency to use real-life events to get heat for their villains. Remember Paige bringing up Charlotte’s late brother, Reid? These kind of things are always within WWE’s reach, but I am glad to say that wasn’t the case here. Instead Charlotte said that she intends to make every moment count now that she is back. With that we saw the introduction of Smackdown Women’s Champion, Natalya. On her way out for the scheduled ‘Celebration of Women’. As it turned out this was just a celebration of Natalya herself. And before it went too far Charlotte challenged Nattie for her championship. A challenge that was again interrupted, this time by Becky Lynch. It would be wrong to say Becky is returning but it does feel like she has been gone too long. It is great to have her and Charlotte back on screen. Becky made her own challenge to Natalya, which was again interrupted. Former champion Naomi and then Tamina both came out to issue their own challenges. Cue Daniel Bryan, who made a match for the main event with all four challengers. The winner would go on to face Natalya for the Championship at the Hell in a Cell PPV. The main event was an entertaining if slightly disjointed affair just about held together by Charlotte and Becky Lynch. The high point being a moonsault from Charlotte on Naomi and Tamina. The finish came after a flurry of offence from all four women, The Queen found an opening and hit her Big Boot on Tamina to get the win. The crowd’s response further solidified Flair’s Babyface transition. A predictable winner, but the correct one I’d say. Last week Baron Corbin promised to answer AJ Styles United States Championship Open Challenge. A match that ultimately never came about. A pre match promo from AJ that began with him putting over Shane McMahon felt appropriate continuity-wise but still slightly misplaced. Styles then went on to call Baron the ‘shortcut King’ and called him a failure. Saying tonight would be no different. Corbin then made his entrance and looked to gain the upper-hand before the bell sounded by attacking his opponent during the introductions. Before he could do too much damage he was attacked in turn by Tye Dillinger, who was taking revenge for Baron’s attack last week. An inured Corbin made his way back into ring only to get caught in AJ Styles’ Calf Crusher. The match never began. SmackDown saw two promos that were almost carbon copies of what we saw last week. First from Jinder Mahal who repeated his attack on Shinsuke Nakamura and the WWE Universe. And then by Dolph Ziggler who once again lampooned various entrances. This week he took aim at Triple-H, Shawn Michaels and then both in the form of DX. Quite amusing that he’d pick Shawn Michaels to spoof, considering being a parody of HBK has pretty much been Ziggler’s career until now. The opening match of the show saw Aiden English fall to an RKO ‘outta nowhere’. A standard match, but possibly worth noting that English came out of it looking very competitive. By no means was this a complete squash. It led to Rusev coming to ringside and demanding a chance to regain the pride he lost at SummerSlam, where he lost in seconds to Randy Orton. The Viper gladly accepted this challenge. But one distraction from Aiden English and a Machka Kick later and Rusev had gained his revenge and restored his pride. Randy had been felled in seconds. I assume this will lead to a match at Hell in a Cell and I am sure it will be a fine encounter. 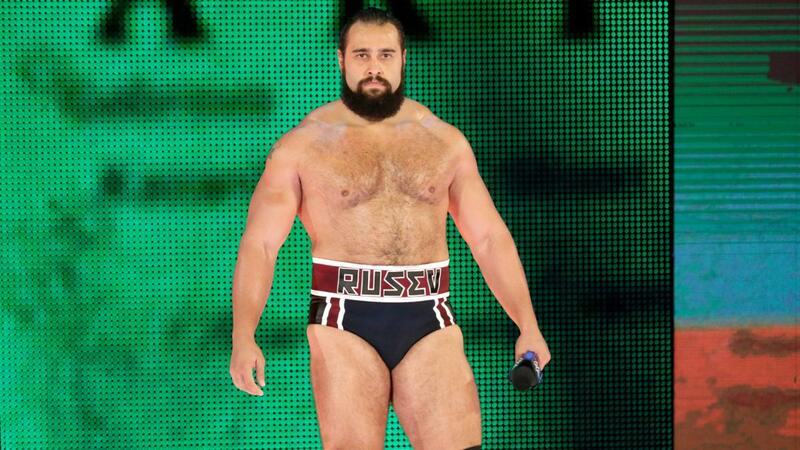 But there is a part of me now that wants to see Rusev evolve somehow, be it a Face turn or a gimmick change. I feel he needs revitalising.